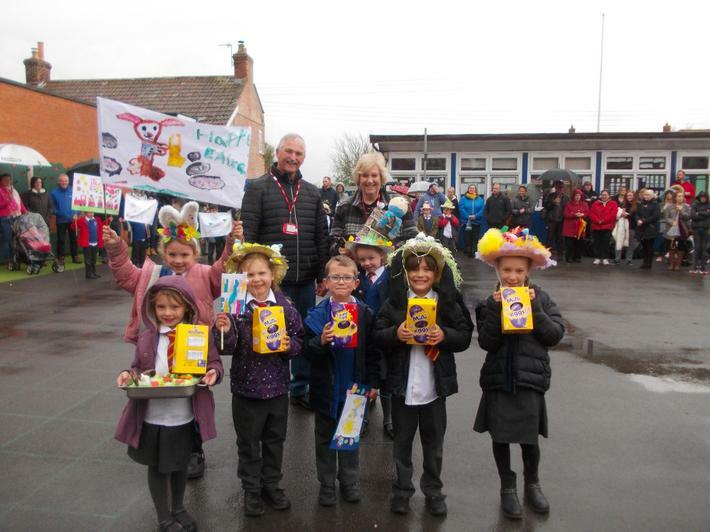 A wet, but colourful Easter Parade brought all the pupils and parents together to celebrate Easter. 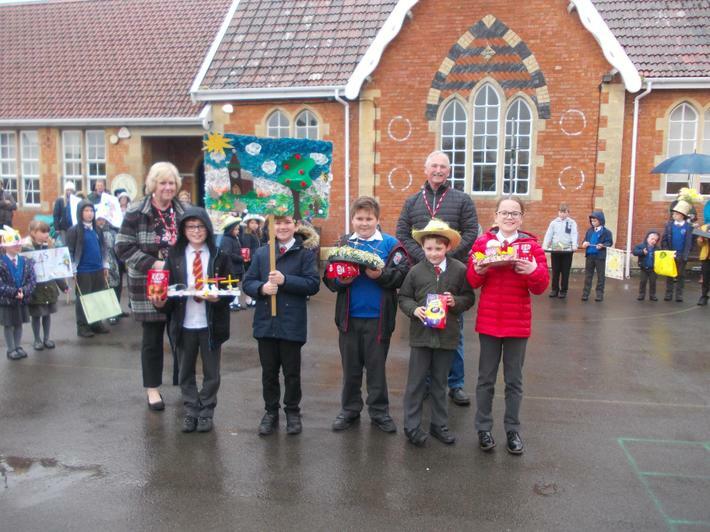 Fabulous hats, flags and gardens were displayed and the colouring competition was very popular. 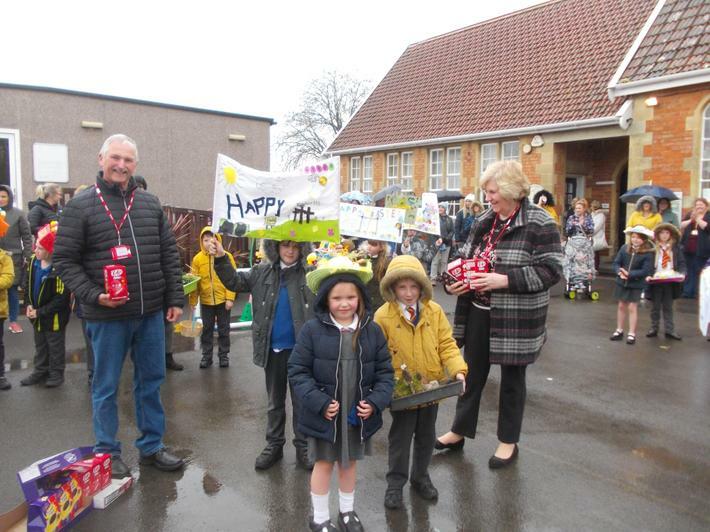 Thank you to the PTFA for all the prizes and fantastic stalls, and also to our judges Pat and Jim from Mark Church.